Stella Mae Buchanan, age, 85 of Hampton passed away Monday, January 28, 2019 at her home following an extended illness. She was the daughter of the late Will and Ruth Barnett Tolley. In addition to her parents Stella was also preceded in death by a grandson Dustin Eric Scott Buchanan. Those left to cherish her memory include her husband, Wayne Buchanan of the home; a daughter, Kathryn Buchanan Strong of Elizabethton; a son, Allen Buchanan (Donna) of Elizabethton; one brother, Carl Calhoun Sr. of South Carolina; a granddaughter, Amanda Collins of Sevierville; a grandson, Cody Turbyfill of Elizabethton; a step-grandson, Zachary Ensor (Amy) of Elizabethton; a step-granddaughter, Heather Strong of Elizabethton; four great grandchildren, Hailee Strong, Rex Colbaugh, Aaliyah Largent, and Breanna Sky. She is also survived by a special niece; Christy Buchanan Morris and other nieces and nephews, as well as two special friends, Elaine Buchanan and Darrin Collins. 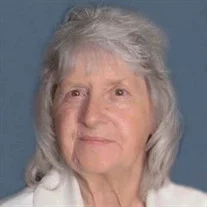 A service to honor the life of Mrs. Buchanan will be held at 7:00 p.m. Friday, February 1, 2019 in the Chapel of Peace at Tetrick Funeral Home Elizabethton with Pastor Don Stines officiating. The family will receive friends prior to the service from 6:00 p.m. – 7:00 p.m. or at the home of the daughter, Kathryn Strong, 128 Lynnwood Avenue, Elizabethton, TN at other times. A graveside service will be conducted at 11:00 a.m. Saturday, February 2, 2019 at Happy Valley Memorial Park. Those wishing to attend are asked to meet at the cemetery at 10:50 a.m.